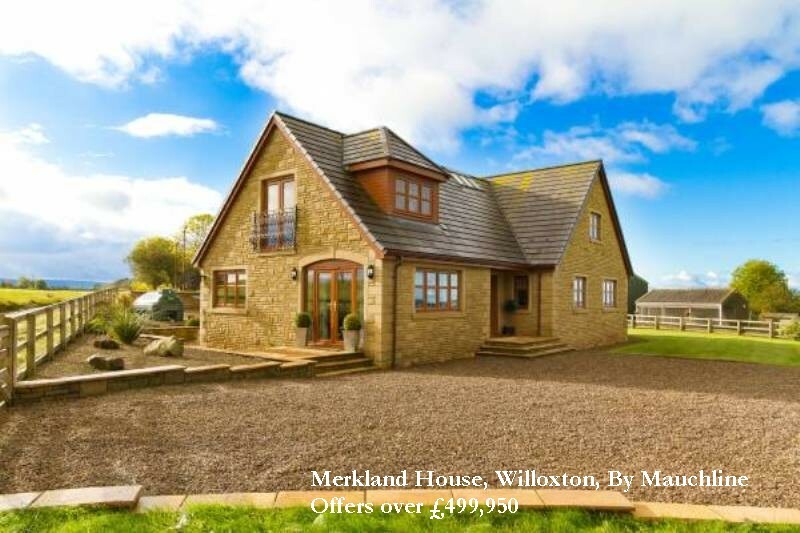 Leading Scottish property consultants CKD Galbraith are offering for sale Merkland House, a fabulous new country house which stands in a very private location in undulating wooded countryside with panoramic views over open Ayrshire countryside. Mauchline has a well documented history, and besides the links to Scottish poet Robert Burns who lived just outside Mauchline and wrote many of his famous poems on the river banks, the village is also renowned for clockmaking and producing curling stones. 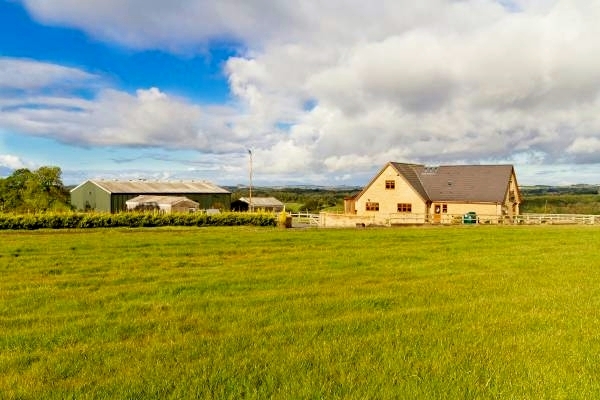 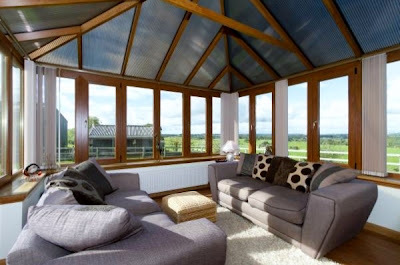 Merkland House is a beautifully presented modern country house situated in a secluded and peaceful position with superb views over the Ayr valley with first class equestrian facilities, stables and yard area, riding arena, kennelling and a workshop with planning permission for a cattery. Completed in 2007, Merkland House is built on two storeys under a pitched tiled roof, providing a high standard of accommodation throughout. 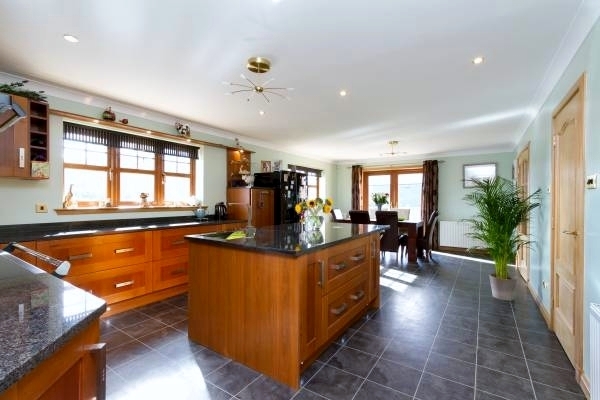 The spacious accommodation comprises four bedrooms (master en suite) and two spacious family reception rooms, a sunny conservatory, dining kitchen, utility room, shower room, bathroom and WC. 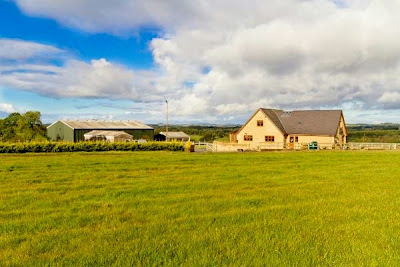 The equitation facilities include stabling for 7 horses with tack room and feed room, an all weather riding arena and a fenced paddock.